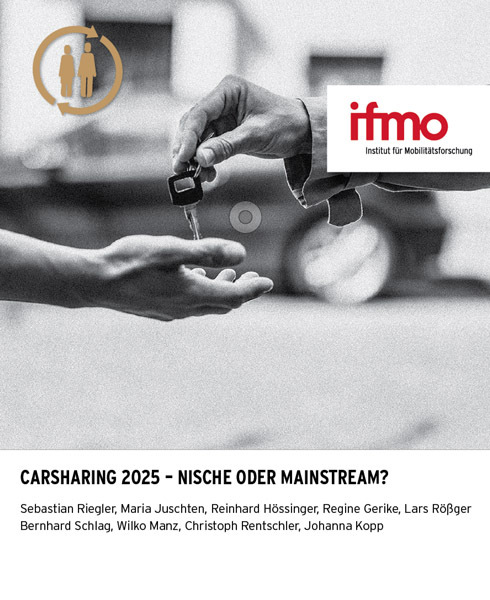 Income is not necessarily destiny when it comes to how many people drive their own cars. 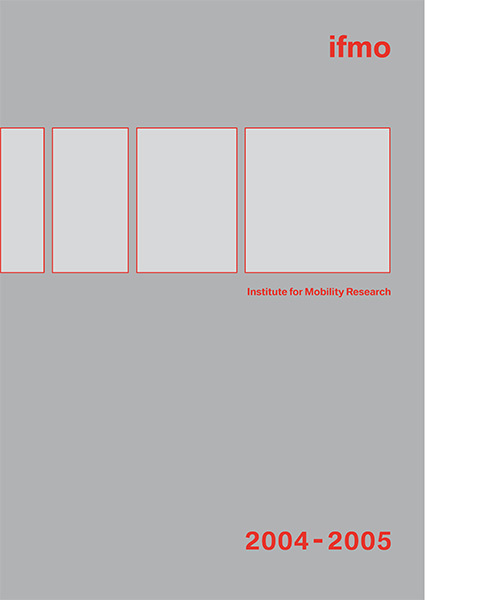 After explaining the evolution of mobility in industrialized countries based on nine additional factors that affect the likelihood that people drive, the present report examines mobility conditions in emerging economies and projects them into the future. 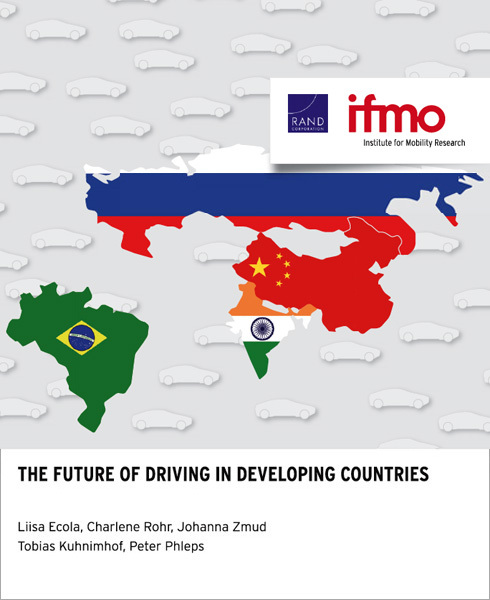 Applying the basic relationships found for industrialized countries to emerging economies, the present report predicts future mobility levels in Brazil, Russia, India, and China (the BRIC countries). 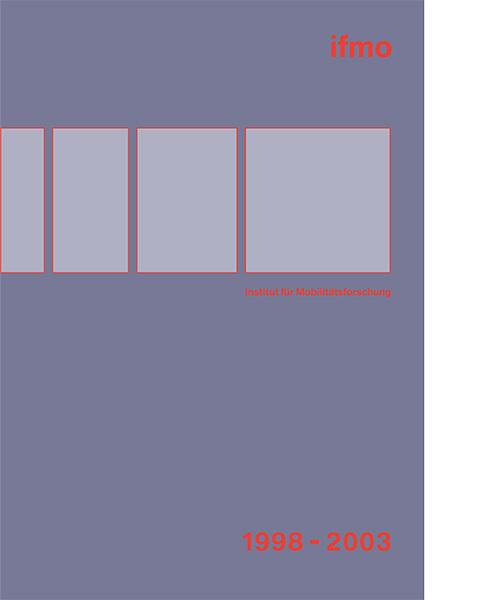 The RAND Corporation, Washington D.C. 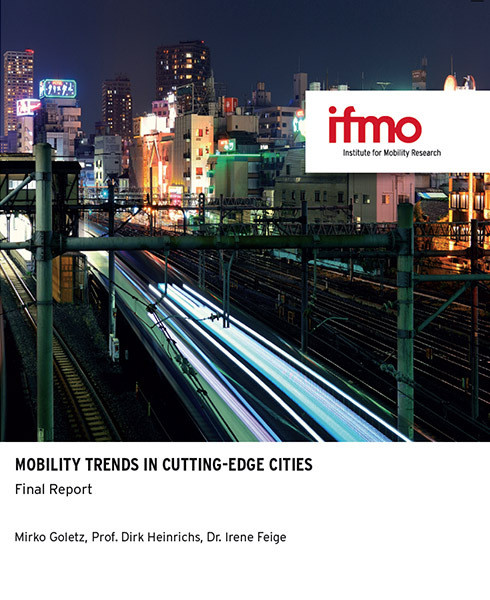 While in recent years mobility in the context of everyday life has almost stagnated in central Europe, long-distance mobility continues to grow substantially. 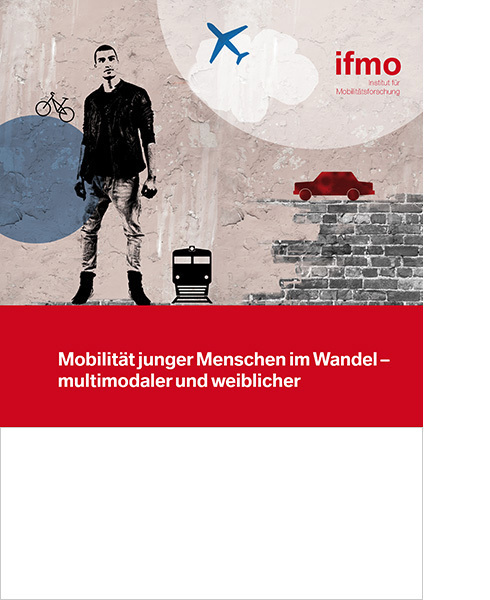 Against this background, the study at hand presents the lay of the land with regard to current trends in and future perspectives of long-distance mobility in central Europe, with a particular focus on Germany. 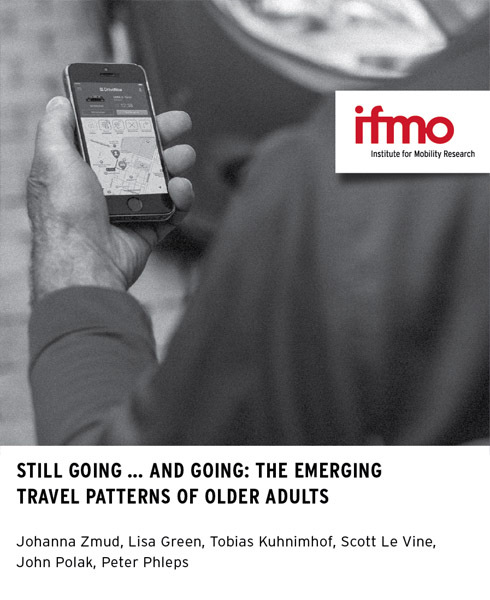 In speaking of long-distance mobility, the study refers to all trips longer than 100 km (one-way). 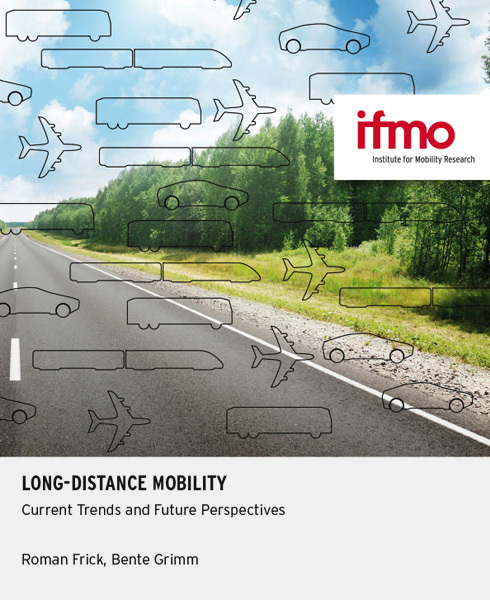 The presented report focuses on longterm scenarios for passenger travel in the U.S., which includes travel by car, transit, domestic air, and intercity rail. 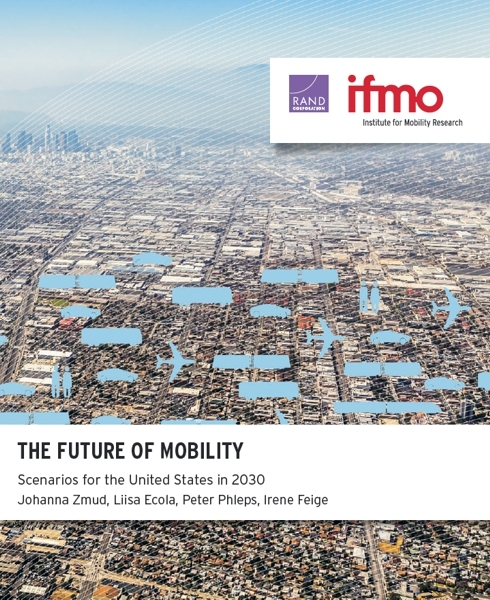 Long-term scenarios in this area are multilayered and complex, being influenced by demographics, economics, energy, transportation funding and supply, and technology. 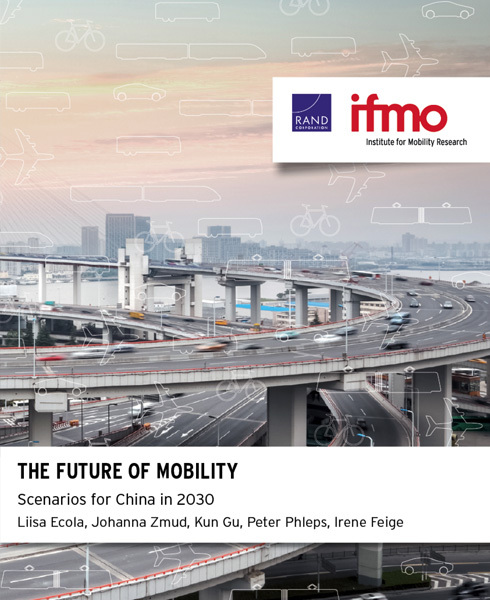 How these forces play out over the next 20 years will depend on whether and how policymakers and other decisionmakers sort out and address current and upcoming challenges. 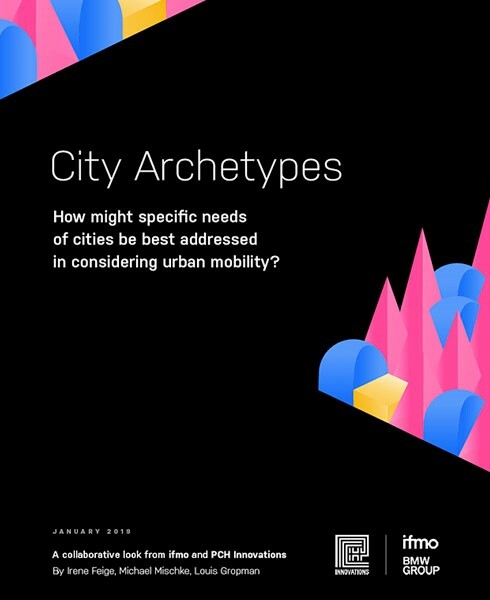 Although we cannot know these outcomes in advance, we can apply scenario planning to develop plausible mobility futures that can be used to anticipate and prepare for change. 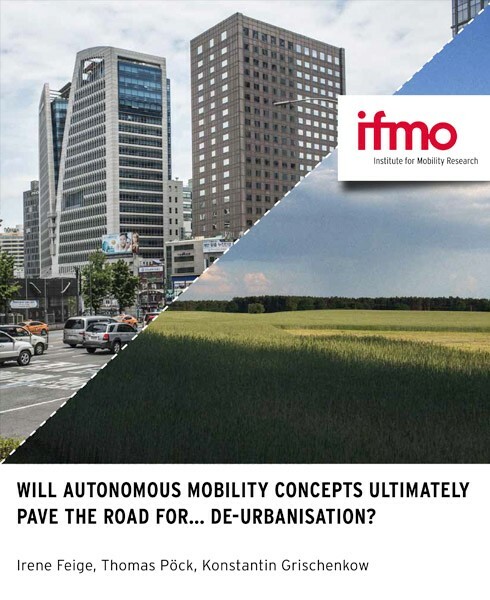 Is the mobility – specifically the ‘automobility’ – of young adults in industrialised countries around the world changing? 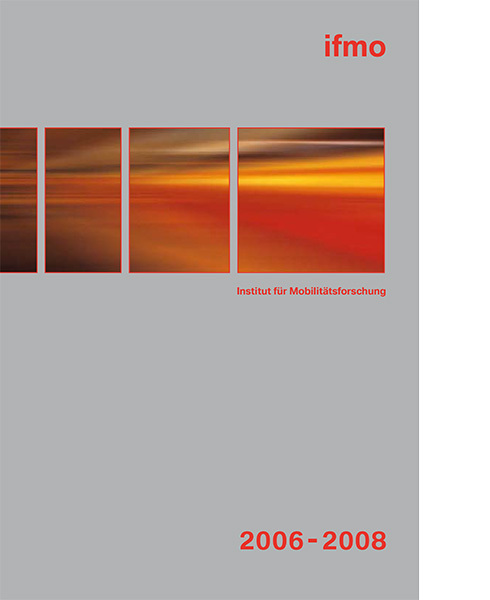 Since the turn of the millennium there has been an ever-increasing proliferation of rumours, anecdotes and scattered empirical evidence emanating from various industrialised countries that points in this direction. In an international research project, ifmo has turned the spotlight on the mobility of Generation Y in selected countries. 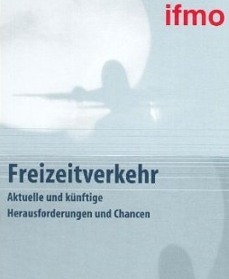 and what lies before them. 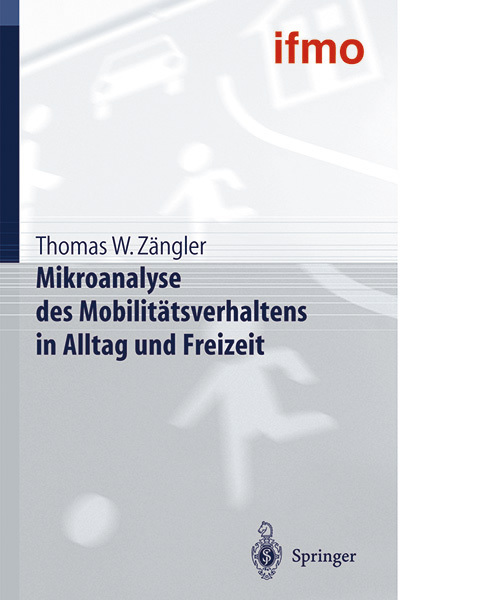 You can order the study from Springer. 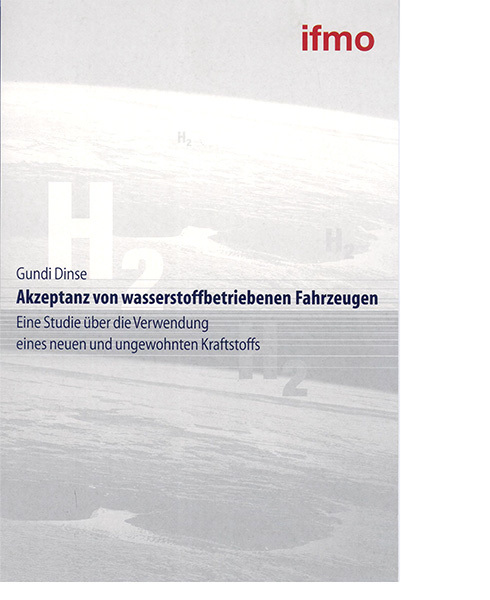 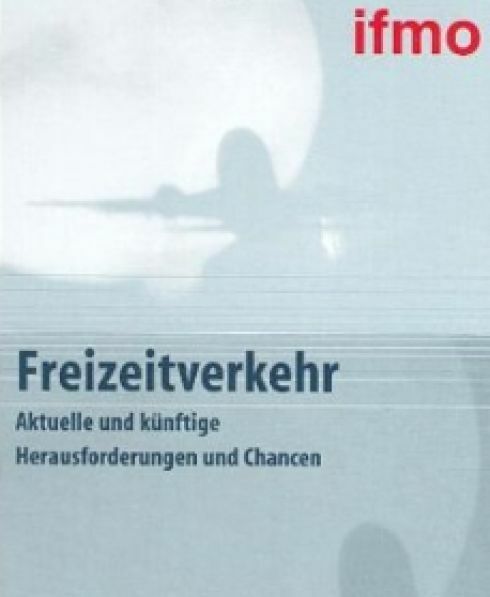 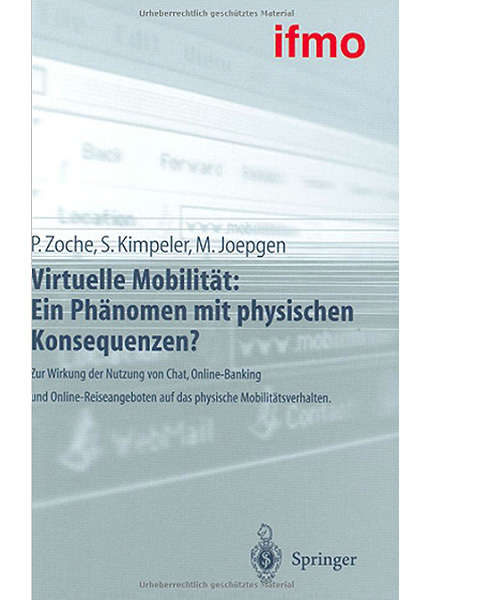 Publication only available in German. 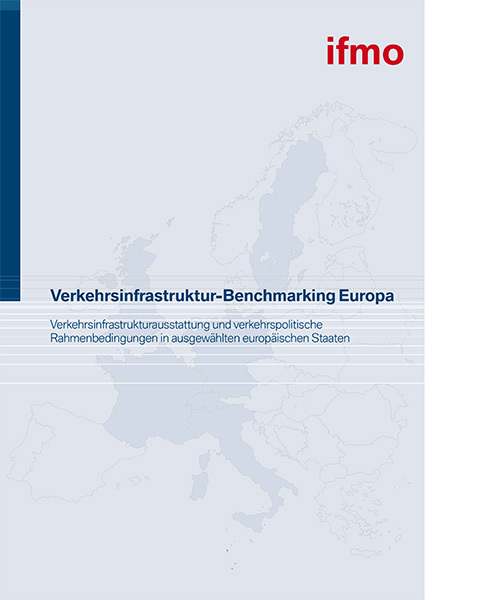 The performance of transport infrastructure in Germany is generally rated as high by comparison with other countries. Nevertheless, it must be assumed that the national transport infrastructures in Europe differ substantially. 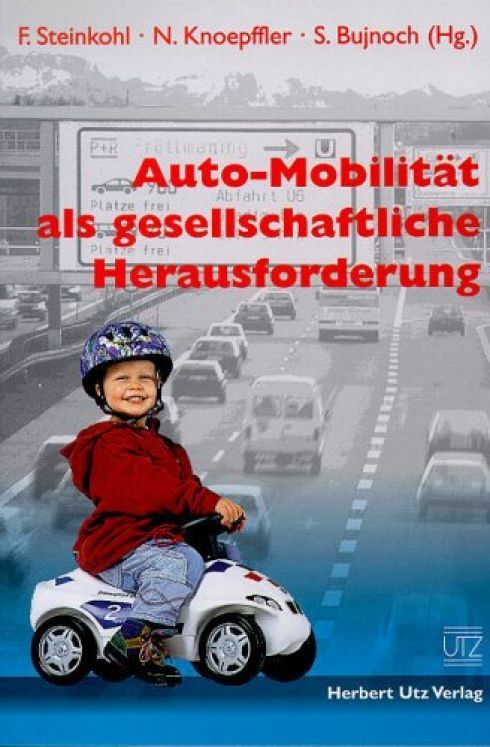 This assumption is sustained primarily by the fact that national transport policies have developed very differently despite the risen influence from Brussels. 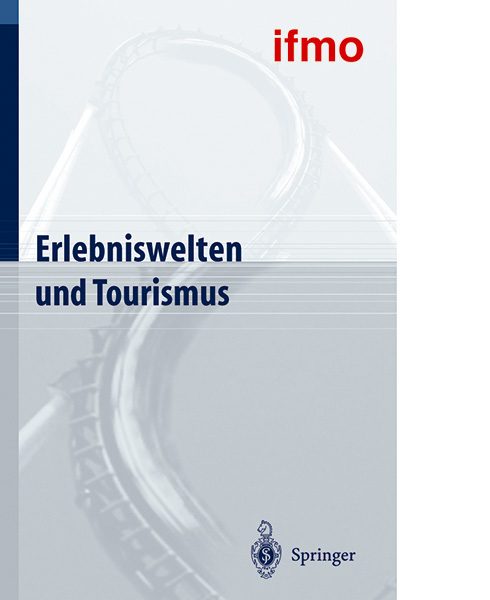 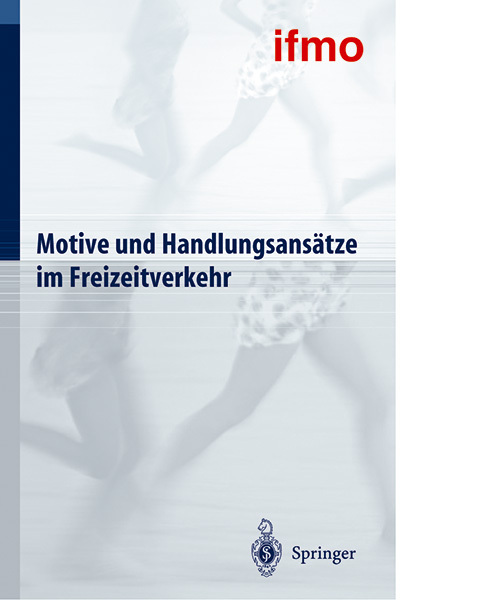 The main study is only available in German, an English management summary can be found below for download. 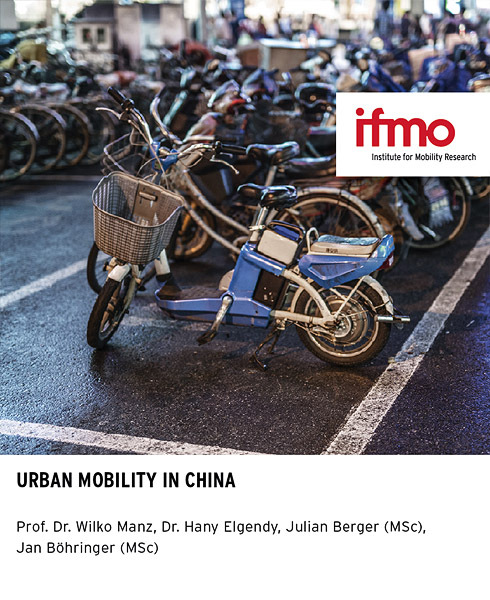 Over the past decade, the transport industry has been the target of growing criticism over its role in the pollution of the environment, while the advocates of free trade stress the importance of transport in enhancing economic growth and consequently living standards. 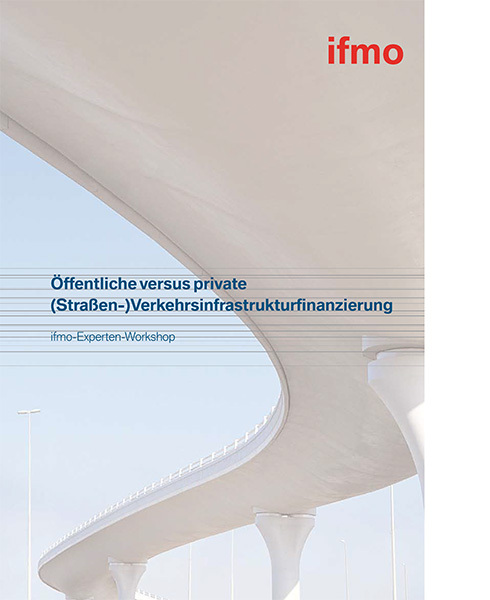 These starkly contrasting viewpoints have created a dilemma for politicians and business people alike. 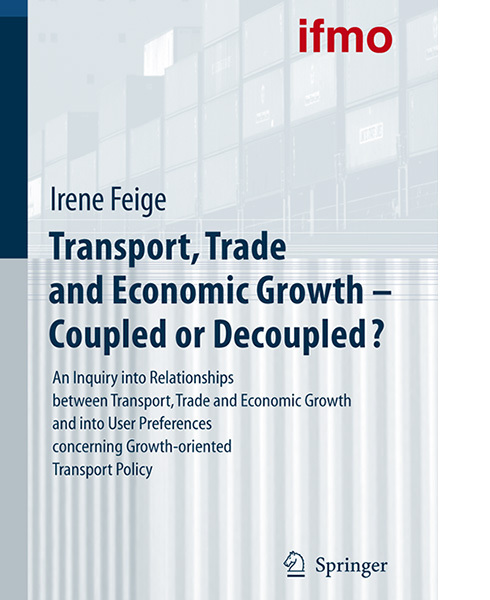 In order to address this challenge, the first part of this book provides an empirical analysis of the relationship between transport and economic growth, or more specifically, whether the "decoupling" of transport and economic growth is possible. 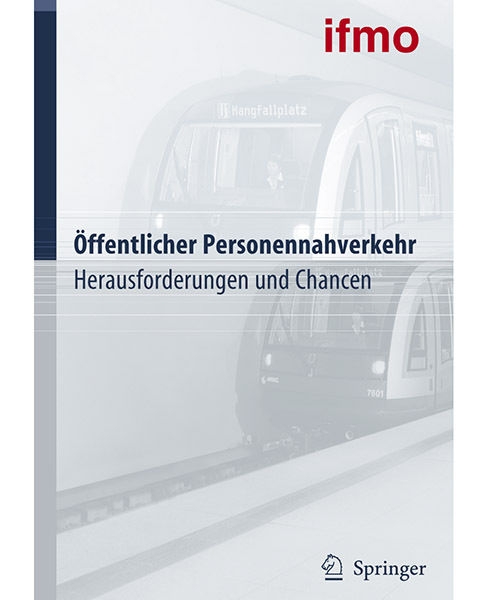 Focusing on growth-oriented transport policy, the second part of this book provides details on the user preferences of logistic managers concerning the characteristics of transport infrastructure and services. 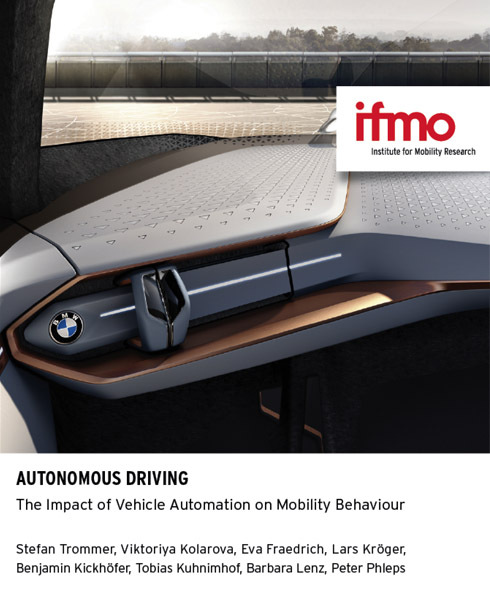 This study builds upon a study conducted by Dr. Roland Schwab at the Institute of Mobility Research (ifmo). 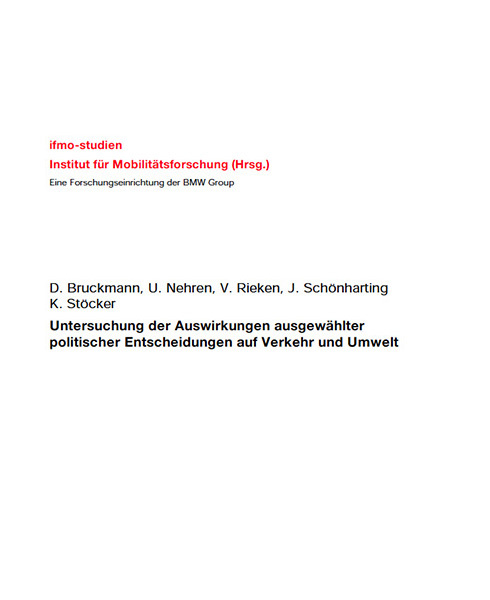 The elaborations of the „Schwab study“ concerning the European Legislation have been reflected in the content of this study. 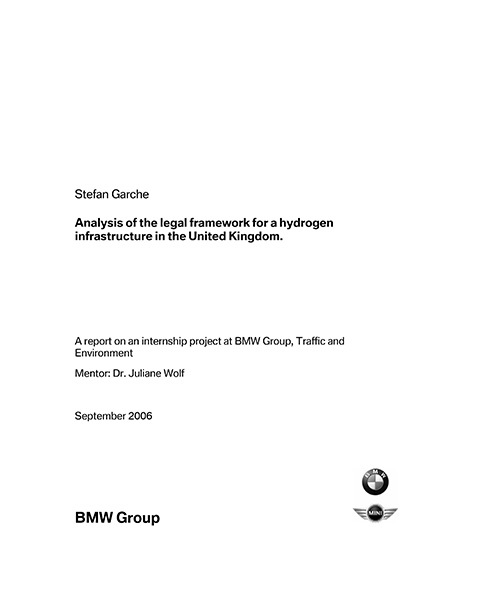 The five sections along the total hydrogen process chain were systematically screened in regard of all relevant Regulations. 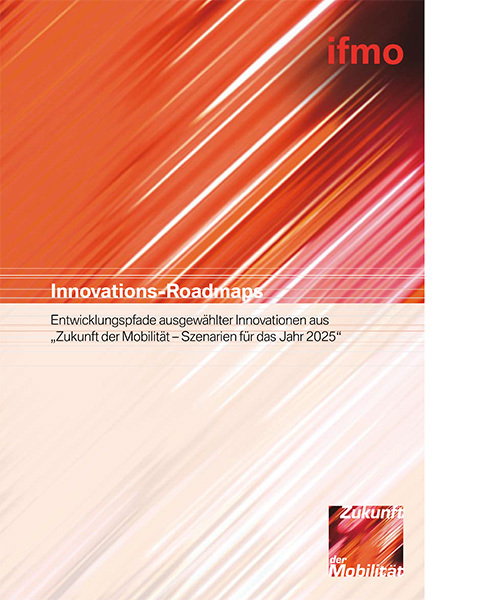 This publication is not available anymore at ifmo! 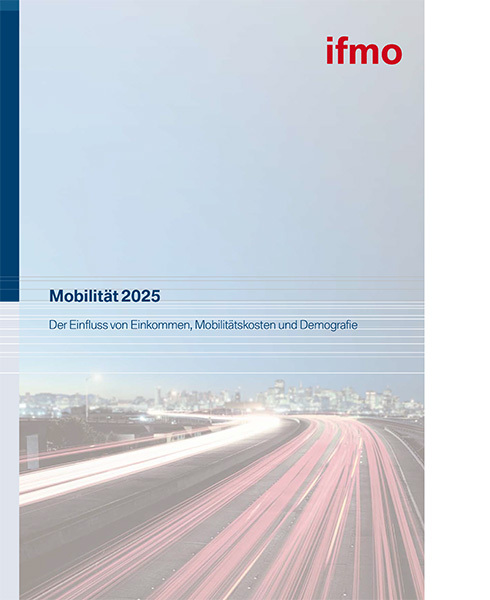 How does our world look like in the year 2025? 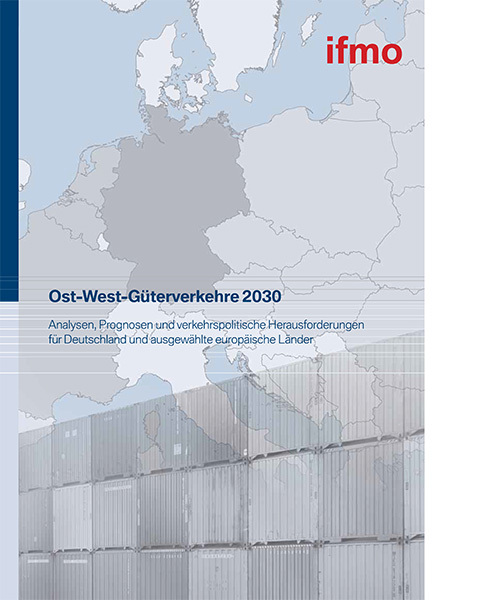 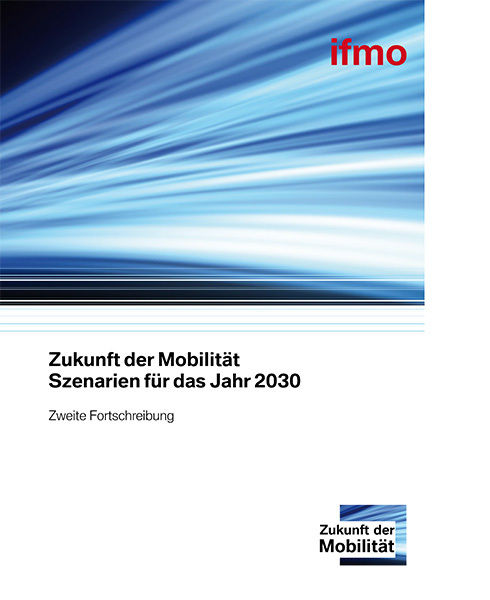 Focusing on Germany, the Institute for Mobility Research has prepared the first update of the scenarios first presented in 2002. 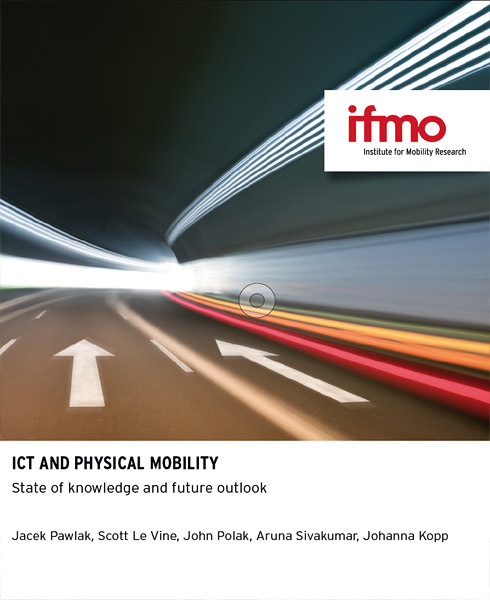 Involving a multitude of different facets and factors, mobility is an extremely popular subject for all kinds of studies and examinations. 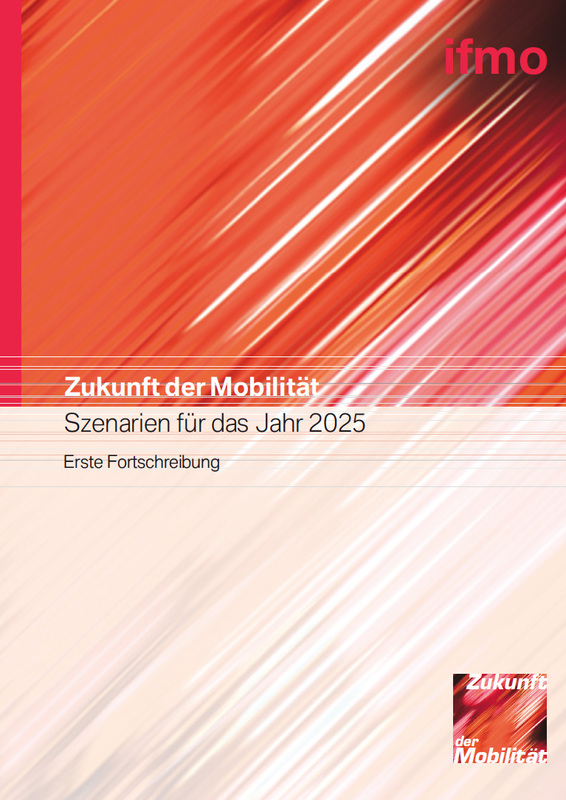 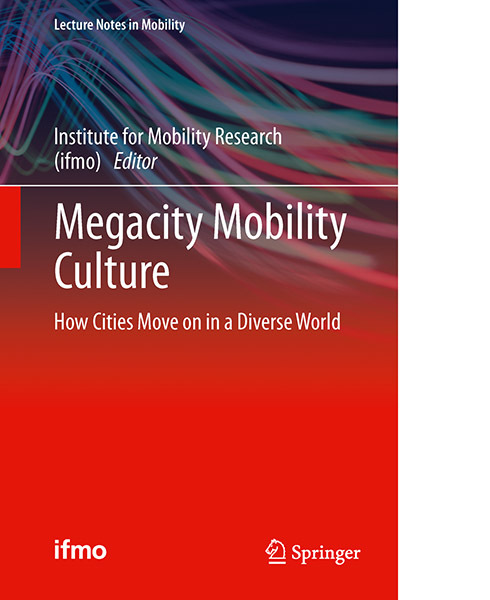 But none of those investigations is as elaborate and comprehensive as the present study on the Future of Mobility. 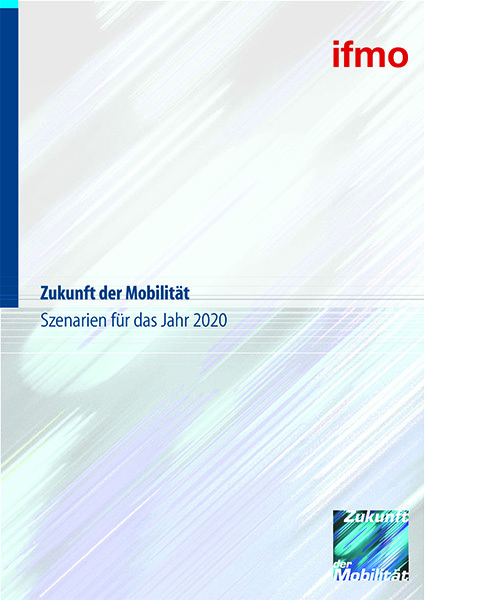 Indeed, this is a scenario project never before conducted in such complete detail. 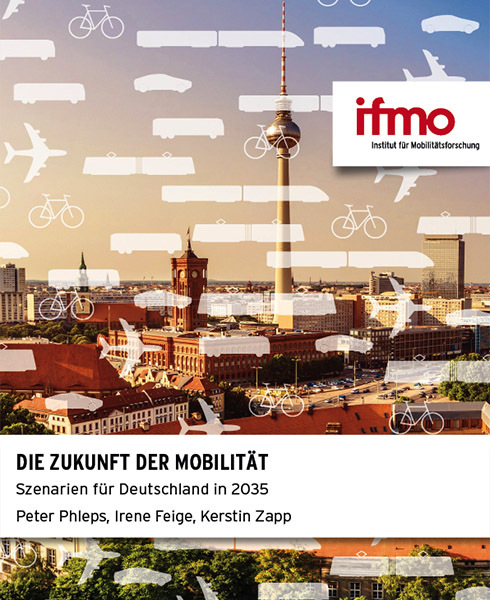 For the first time three large and renowned representatives of the most important providers of transport – the BMW Group, Deutsche Lufthansa, and Deutsche Bahn – have worked together in a project focusing comprehensively on the future development of mobility in Germany.